Centralize your product information, and sync data real-time with Jasper PIM and iPaaS! 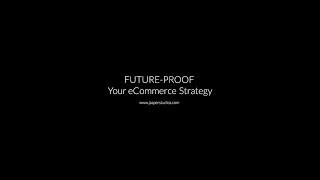 With the Jasper PIM you can master products and syndicate through multiple distribution channels. A central set of product data can be used to feed E-commerce websites, print catalogs, ERP systems, trading partners. You can speed up time to market, optimize merchandising, build brand equity and ensure absolute product accuracy. With the Jasper iPaaS, you can coordinate automated communication amongst e-commerce related business systems (ERP, EDI, POS, DAM, Fulfillment and E-commerce channels). You can have compatibility and harmony amongst best of breed solutions without the need to start from scratch. With our iPaaS you'll be building bridges and creating rules to make your systems work in unison. Our Product Information Management (PIM) allows both beginner and advanced merchandizers to manage product information in a centralized middleware platform built for speed and scale. Quickly create, categorize, and publish products to a host of partners; Google, Amazon, eBay, and of course, your Bigcommerce or Magento Enterprise store front. Integrates quickly with our own HD photo studio for the ultimate in product content quality. High quality stunning product imagery and 3D rotate-pan-and-zoom views add excitement to your online catalog. Integrates seamlessly with your commerce platform & has easy-to-use controls. The Jasper Fulfillment system comprises of Inventory Control and Warehouse Control. Both make use of modern lightweight technology and features an intuitive, easy to use interface largely navigated through short sequence scanning and gesture based controls. The system operates predominately on WIFI powered portable handheld barcode scanners connected ubiquitously throughout both the office and warehousing/fulfillment centers. Integrate a professional new SaaS ecommerce shopping cart platform that looks stunning, performs lighting fast, and is easy and intuitive for your customers to use.